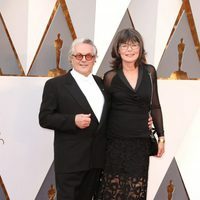 Producer, director and screenwriter Australian, who won an Oscar for 'Happy Feet'. He began his career in 1979 as director. That year released the first part of his trilogy called The Road Warrior starring a young and inexperienced Mel Gibson. In 1981 and 1985 he presented the aftermath, at a first time, did not have a great impact, but currently have a gap between the major sagas. In 2015 he released the then still a hit with both critics and the public, which is already working on what will be the sequel. It also decided to test the fantasy and horror 'Within the limits of reality', where he led one of the four supernatural stories of the tape. Among his most famous films include, besides those already mentioned, 'The Witches of Eastwic'k or' Babe, the piglet brave '. Miller is co-founder of the production houses Kennedy Miller Mitchell, formerly known as Kennedy Miller, and Dr. D Studios. His younger brothers Bill and Doug Mitchell have been producers on almost all the films in Miller's later career, since the death of his original producing partner Byron Kennedy. He is married since 1995 with Margaret Sixel, with whom he has two children. He was previously married to Sandy Gore. 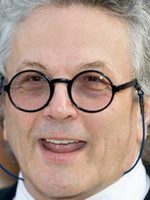 George Miller has been active for 40 years, participating in 12 movies that average a 6.7/10 score. In 2007 he was set to direct a film adaptation of DC comic's Justice League. Miller started the preproduction and casting but the project was put on indefinite hold due to the 2007-2008 Writers Guild of America strike and finally canceled. 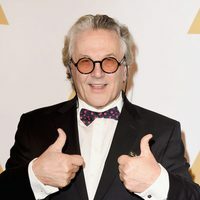 George Miller was set to direct Contact (1997) but was replaced by Warner Bros studio due to creative differences on the project and the delay of the whole production start date. Miller was replaced by Robert Zemeckis. He was a member of the jury at Cannes in 1988 and 1999.